Rolls Royce makes cars that are whisper-quiet even at 200 Kph. But these cars are also frightfully expensive, and this rules them out for most people. While Rolls Royce levels of quiet may be hard to achieve on budget cars, you still can have a very quiet cabin if you implement some of the ideas listed below. We’ll address wind noise and road noise first. Wind noise is inevitable at high speeds, particularly on less-aerodynamic cars such as SUVs. However, you can minimize it by a great deal by addressing specific areas. 1. 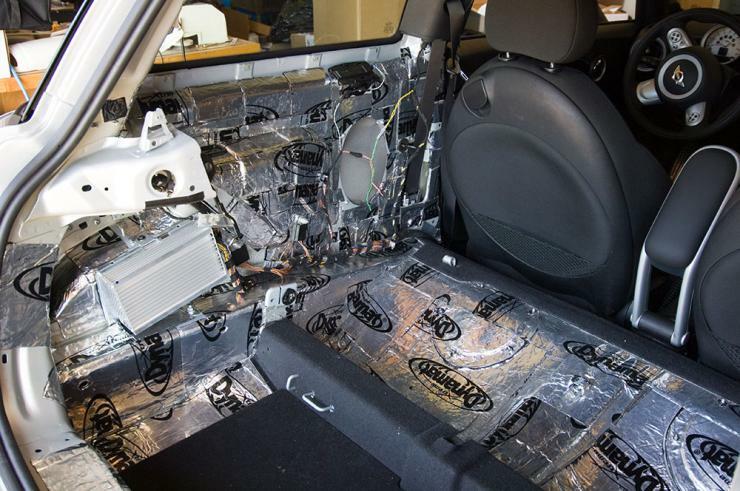 Additional sound deadening material from Dynamat can be added to the doors, floor, roof lining and the firewall. This reduces wind noise to a considerable extent. 2. In most budget cars, doors have poor sealing and let in a lot of wind noise. The solution to this is adding weather stripping seals to the car’s door frames. 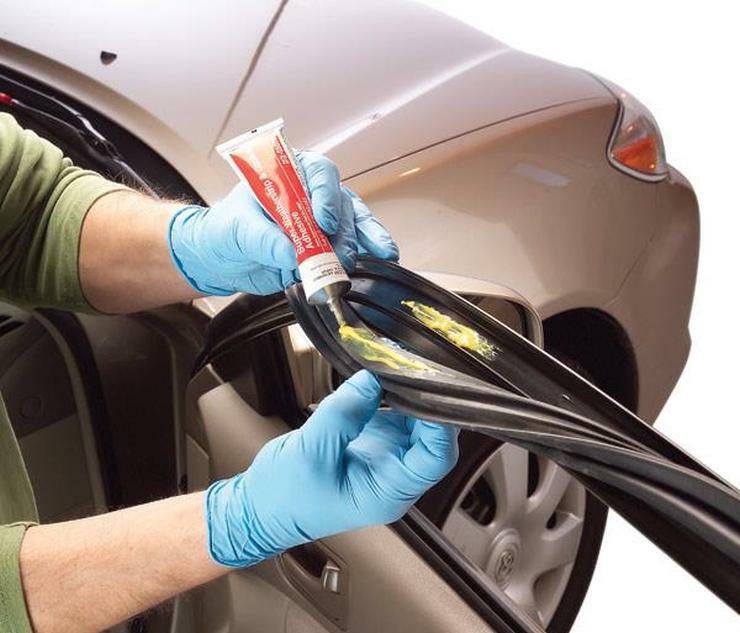 You also need to ensure that all insulation material on the car’s doors and body are functioning properly. There are 3 ways to minimize road noise. Shift to tyres made of softer rubber. Just changing from a hard compound tyre to a soft compound tyre can make a dramatic difference to road noise. Also, opt for higher profile tyres rather than lower profile tyres. A set of 4 soft compound tyres cost about Rs. 18,000-20,000. Adding Dynamat also helps. As is the case with wind noise, sticking Dynamat to the doors, firewall, bonnet’s underside, floor and roof will greatly minimize noise. A cheaper Indian alternative to Dynamat is Dampmat, and it costs about Rs. 4,000 for 16 sq ft.
A thick layer of rubberized underbody coating also reduces road noise. Make sure you get a proper coat from 3M or a reputed vendor as a lot of underbody coatings turn out to be scams. 3M underbody coating with a 5 year re-coat guarantee costs about Rs. 3,000. If you have a car that features a petrol/diesel/CNG/LPG engine, hearing the engine is quite normal, if not at lower rpms at least at higher rpms. However, an engine that’s poorly maintained is usually a noisier engine. As a starting point, make sure that your engine is in top-shape, mechanically. 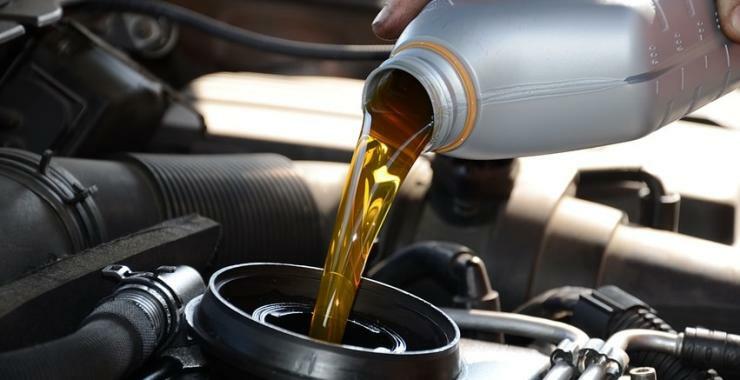 Also, many engines get quieter and smoother when synthetic oil is used. So, it’s a good idea to use synthetic oil if you’re currently running on mineral oil. Also, engine and gearbox mounts get worn out over time, causing vibrations and noise. If you have an older car, check if these components need replacement. Most mass market car manufacturers design stock exhausts to make the car run as quietly as possible. So, if you change your exhaust to a free flow muffler, it’s going to increase the noise/sound that your car makes. You can revert to a stock exhaust set-up if you want a quieter car. Over time, exhaust systems tend to rust and develop small holes. This makes them noisier. Replacing/repairing such exhausts will also reduce noise levels of the car. A car’s suspension is another major source of noises. Suspension- link rods, ball joints, steering ends and shocker bolts. suspension items need to re-torqued at certain intervals. Some bearings need to be greased, especially in four wheel drive vehicles. If you get an experienced mechanic to attend to these common pain points, the suspension should work optimally and noiselessly. A lot of cars have poorly designed components that cause rattles. Parcel trays are top culprits and so are dashboard fitments and various interior trims. Eliminating all rattles is a must if you want a quiet car. Identifying them is more critical and usually you’ll need an experienced mechanic to pinpoint the source of a particular rattle. Many joints need to be lubricated periodically to eliminate squeaks and rattles. So there, these are a bunch of things that can be done to make a car a very quiet place to be in. The key is make sure that all these ideas work simultaneously. Go ahead, make your car quieter and tell us how it went.